I’m big on quotes. This one I don’t quite get, though. 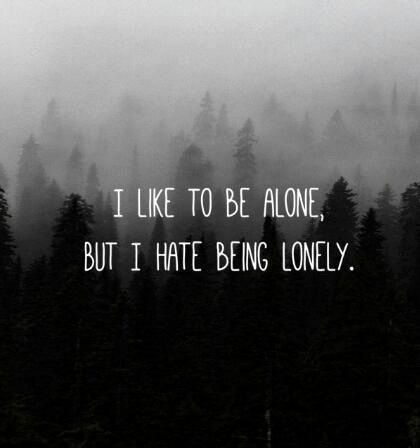 I don’t consider myself a “loner”, per se, but I really don’t ever feel lonely. I’ve never craved human contact. I enjoy interacting with people whether it’s family or strangers, but I do not have a strong desire to be around people. When I first learned of the Four Noble Truths and attachment, I immediately felt relief knowing that I could control my own happiness. I love a great many people, but I believe that absence makes the heart grow fonder. I’m humbled. Thank you so much.